A practical buffet table for kids to enjoy, brought together in a tailored format and with in-house favorites like Bunny vs. Monkey and Evil Emperor Penguin alongside all-new characters and properties for them to love. The Phoenix Comic Bind-Up provides the unique experience of reading a great comic or magazine... but with loads more material! This book has a ton of great comics from the pages of The Phoenix. 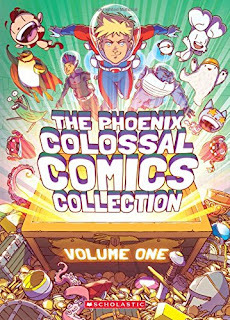 Being someone that has not read much from The Phoenix before, but I can tell you that this book was a ton of fun to read through and all of the collection that was shared offered humor, adventure and more. The artwork was beautiful throughout and each was unique from each other. 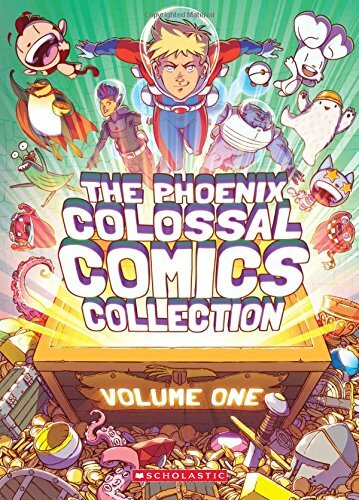 If you love graphic novels and comics, this collection is a must have!